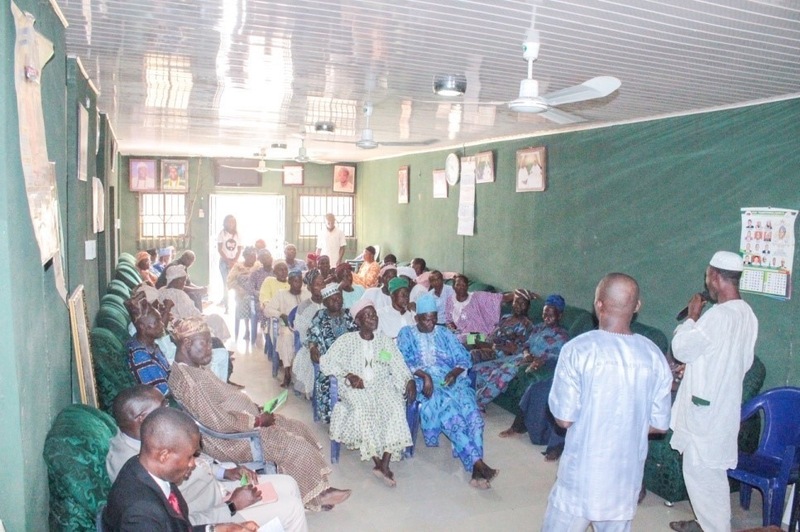 On July 20th, 2016, The Federal Government of Nigeria through its ministry of health launched Saving One Million Lives Program for Results (SOML-P for R). The program is focused on improving maternal and child health care at the state level. 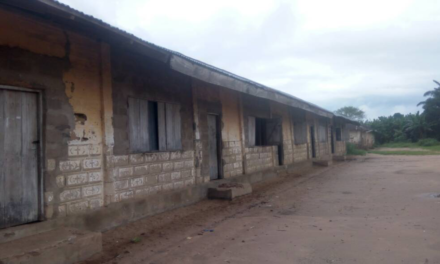 The state of Osun is part of the state whose funds has been disbursed for the SOML initiative which we believe the Model Primary Health Care Center Sekona of Ede South Local Government should be attended to as a matter of urgency. 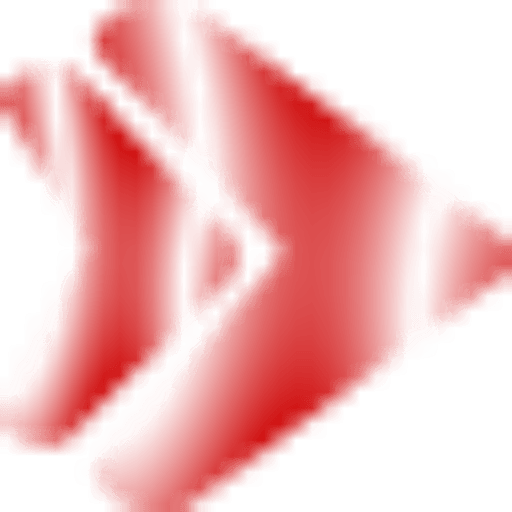 Sekona is a village which is located at Ile – Ife/Odeomu Expressway. The Model Health Care Centre serves more than 400 patients on an average per month as its location is strategic with many villages closer to it. The facility serves a target population of 12,498 with 498 less than 1-year children population and expected a monthly target of 42, although it ends up serving more than 400 per month. 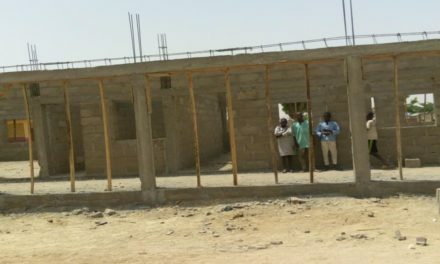 The health facility serves villages such as; Alajue – Logun, Gboore, Asunmo, Ayegbami, Agbopa, Jagun – Odomu, Olodan, Aladie, Amosun, Seesa, Akiribiti. 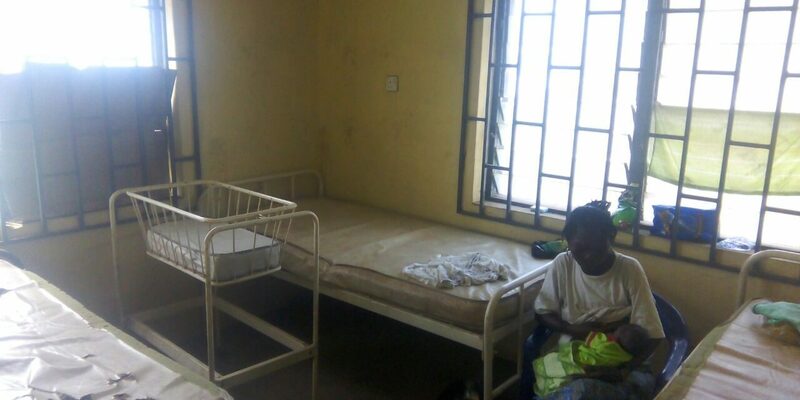 The health care centre has 9 staff with no trained doctor and nurse characterised with no skilled birth attendant. Also, the facility is smaller in comparison to the numbers of patients it attended to in a month. No Security nor fencing, No medical facilities and the only drugs that are always distributed to the centre is Malaria drugs. 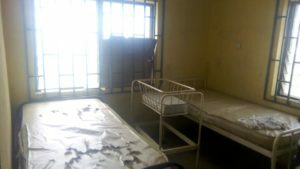 The medical facility does not have equipments, and their wards only contained bed with no bedding sheets. 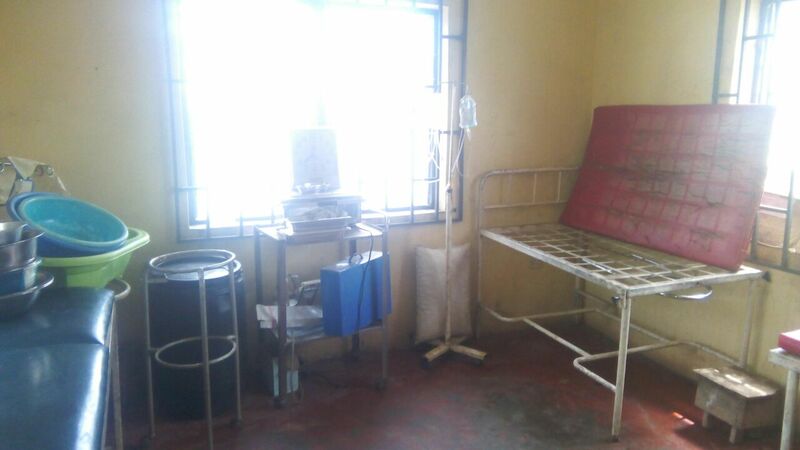 To our surprise, none of the medical personnel nor the patients is aware of the federal government initiatives. The aforementioned director of health stated that there is an on-going plan on the $1.5 million World Bank grant to improve the healthcare system in 786 PHCs and the PHC at Sekona will be one of them, as it serves a larger number of population. 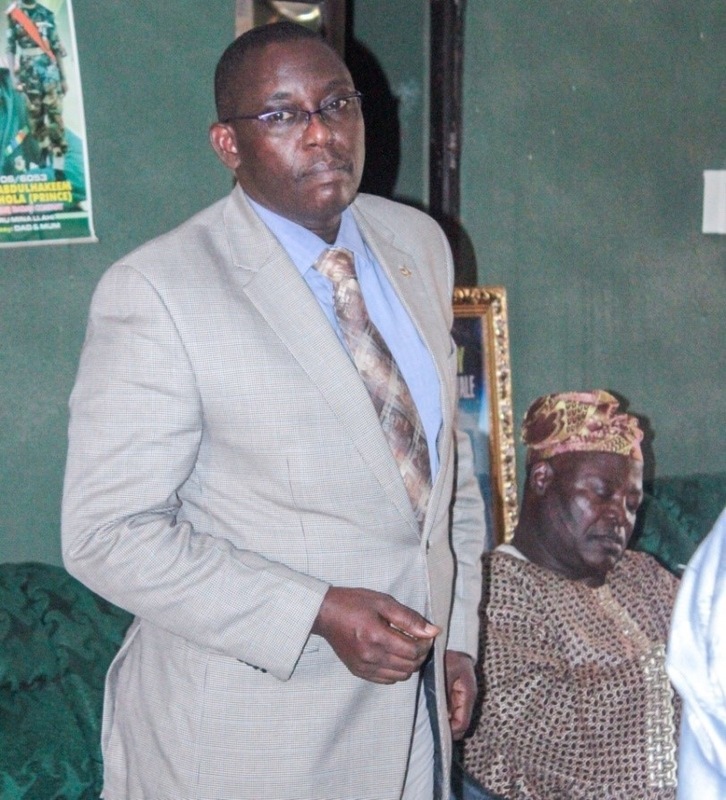 He also mentioned that the Local Government Council, already had funds from the state government to renovate the PHC. 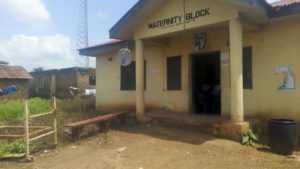 We got a response from the State Ministry of Health via a call on October 28 stating that the Osun State government has not received any $1.5 million grant from the Federal Government of Nigeria. October 27, 2016: An inquiry for more information on #RevampSekona was sent to the Governor of Osun State, the State Commissioner of Finance and the State Commissioner for Health. 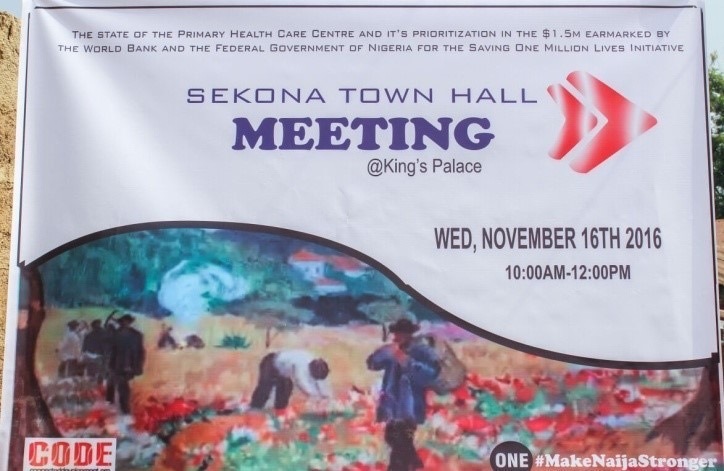 24th October 2016: Our team went on ground to track the $1.5m earmarked by the World Bank and the Federal Government of Nigeria for the Saving One Million Lives Initiative and all we could see while on the field is nothing to write home about. From our findings, the facility is meant to serve 11 villages which are; Gboore, Alajue-Logun, Asunmo, Ayegbami, Agbopa, Jagun-Odomu, Olodan, Aladie, Amosun, Seesa, Akiribiti amongst others. In total, the target population which the facility is meant to serve is 12,498. 498 of the population are children less than one year, the PHC has a monthly target of 42 patients, but it ends up serving more than 400 on an average. 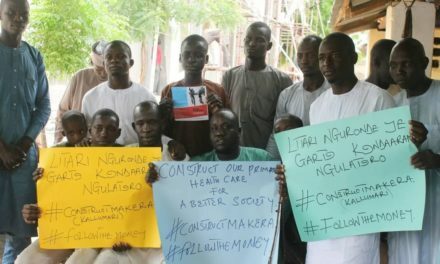 “We do not have drugs, we have always been using our money to buy our own drugs which are always expensive and we have to get out of Sekona to get the drugs,” says Mrs Suleiman Iyabo. In Osun State, South Western Nigeria, we have a campaign hashtagged #RevampSekona. 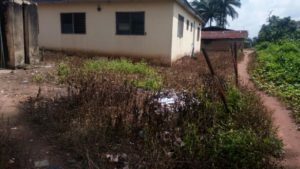 We are tracking the US$1.5 million released by the World Bank, in its Saving One Million Lives (SOML) Project through the Federal Ministry of Health to the Osun State Government, while advocating for the refurbishment of the PHC in Sekona, in Ede East LGA of Osun State. The facility serves a target population of 12,498 with 498 less than 1-year children population and expected monthly target of 42 patients.